The whole situation with Chris Bosh’s health and blood clotting issues is unfortunate. The Heat have been doing the right thing for Bosh and the risks involved with him playing NBA basketball at this point, until now. Reports are that the Heat are planning to wait to waive Bosh until after the March 1 deadline. It would prevent him from being able to join another team for the 2017 playoffs and give them much more cap space for the 2017 off-season as Bosh’s salary wouldn’t count against it. He would only count against the cap in the 2018-19 season if he were to play 25 games for a team in the 2017-18 season. Although from a selfish perspective this makes sense for the Heat as it guarantees them more spending money in 2017 and prevents a fellow eastern conference team from picking Bosh up for any postseason run, but let’s be honest, this would be a very cold, calculated and heartless decision that would reflect poorly on the organization. The Heat truly believe that Bosh will not be able to play in the NBA again and don’t want him anymore. They should be fully aware that they will more than likely not even make the postseason this year, so holding his career and NBA future in their hands and manipulating it for a potential gain is poor business and completely unfair to Bosh who has been a vital part of their franchise’s success for the past six years. I can almost guarantee that added cap space this off-season won’t be as much of a coo as they would anticipate. This kind of move would reverberate to the fraternity of NBA players around the league and agents and make the likelihood of the Heat bringing in any high level free agent slim to none. 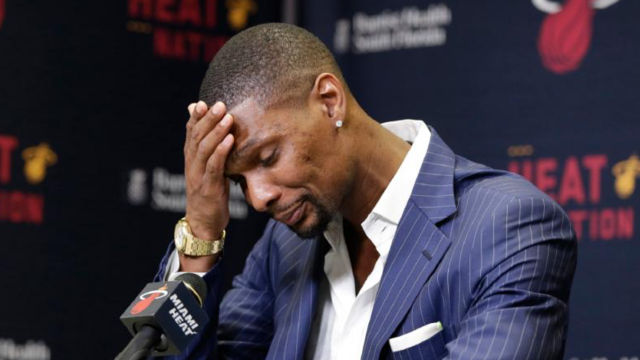 I realize this is a crappy situation for all parties involved, but the Heat need to do the right thing and waive Bosh now if they truly have no intention to ever have him play for their organization again.